The world will go on while you are sleeping with this mod. Somnia Mod 1.7.2 and 1.7.10 is an update of a mod that stopped updating some time. Now we can enjoy it again by another modder, that has been responsible for updating it, so now we can use it in the current version of Minecraft. Until now, when you go to sleep in Minecraft, time does not pass, ie if you have machinery working and you go to sleep, you wake up and you find things as before. 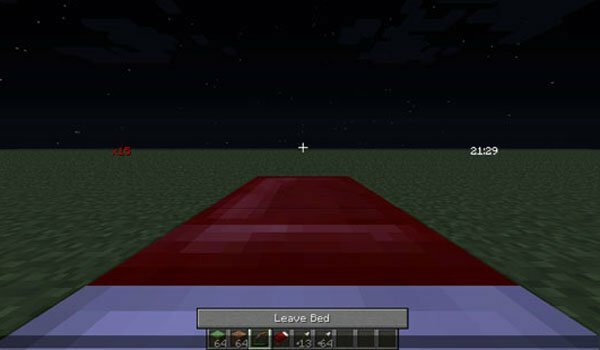 But this will change with this mod that allows time go on and evolve the world while you are sleeping. This is really useful because while you sleep, the machine will continue to work and continue growing crops, in the end you win time even when you sleep. How to install Somnia Mod for Minecraft 1.7.2 and 1.7.10? The time will go on while you sleep in Minecraft!